If you’re still working out your video advertising strategy, it’s time to get moving. Video advertising is growing and becoming more popular every day. The sooner your team figures out a well-rounded, cross-platform video ad strategy, the faster you’ll start to reap the benefits for your company. The landscape for advertisers is huge, from connected TV (offering programming via Apple TV, Roku, Hulu, Amazon’s Fire TV, Google’s Chromecast, and others) to the social media (or “second screen”) format, where viewers by the millions are watching Instagram, Facebook, and YouTube videos on a daily basis. eMarketer estimates marketers will spend more than $22 billion on U.S. digital video advertising by 2021. As the numbers grow, so does the complexity of video advertising, with new advertising formats, changing platforms, device-specific strategies, and multiple ways of buying and selling goods. Connected TV: Connected TV (CTV) content is delivered to a TV screen with web connectivity. It’s growing at a fast clip. About 50 percent of U.S. internet users watch digital video daily on connected TVs, and 22 percent of these viewers are watching digital video on Hulu, Roku, Amazon Fire TV, Google’s Chromecast, and others in what is considered prime time in the U.S. (8 p.m. to 11p.m.). You need to be in this category for your advertising placements. Connected TV is beneficial to viewers and advertisers. Viewers get an on-demand experience for the programs they want to watch, when they have time to watch. Advertisers get a wide array of programming content and ideal demographics at varying price and reach levels. Expect Connected TV to become heavily ad-supported in the coming years, especially with new data measurement innovations like automatic content recognition (ACR) emerging to transform the numbers. Display ads appear above the right-side column video suggestions list. Skippable video ads (aka. TrueView ads) can be skipped after the first 5 seconds, so it’s important to make those precious seconds count. Think high-energy, graphic-heavy visuals. Bumper ads are 6-second ads that can’t be skipped. But they are short and you can win over your viewers. Non-skippable video ads are used by some brands, but viewers dislike them. YouTube has recently changed the times for these ads to 15 to 20 seconds, which is more bearable for viewers. Overlay ads are banner ads showing along the bottom of a video. Sponsored cards are the small call-to-action ads that show at the bottom of a video. They are fairly non-obtrusive, and often lead to clicks for more information. Facebook offers advertisers four layouts in Collection to showcase their businesses and products. Big brands including Tommy Hilfiger, Sport Chek, and Lowe’s have already tested Collection ads. According to Forbes,Sport Chek reported its conversions rose 28 percent when using GIF ads in its campaign. Set a business goal and define your audience. Create a hypothesis about your audience. Compare your data to your hypothesis. Build and test your creative. Instagram: Small businesses have a great opportunity to make a splash with creative advertising on Facebook’s “little brother” platform. Instagram’s video ads can unlock potential customers who may have already seen your videos. Sharing content and asking your followers to share your content is effective on Instagram. Here are some tips for getting started with Instagram advertising. Keep your ads short. Mobile use = lower attention spans. Try out text, captions, and word bubbles to ensure your content is seen. Use the recommended 7 to 10 hashtags to get your ads seen other than the main Instafeed. Be consistent. Can you manually post every day? If not, automate that action using Hootsuite and other services. Get video clips of customers and fans. Bring the human element into your ads. To make your video advertising strategy as effective as possible, explore your options. Know the nuances of your audience, your desired platforms, and your marketing angles. Incorporate these tips into your video ad strategy to make it well-rounded and cross-platform. Make great content. Your best practice for video advertising is to make great, compelling content for your ad. Make a video for your brand, your product, its benefits, or how it works. But above all, make it compelling enough for viewers to click within 10 seconds. Shorter is better. Video ads are getting shorter all the time. 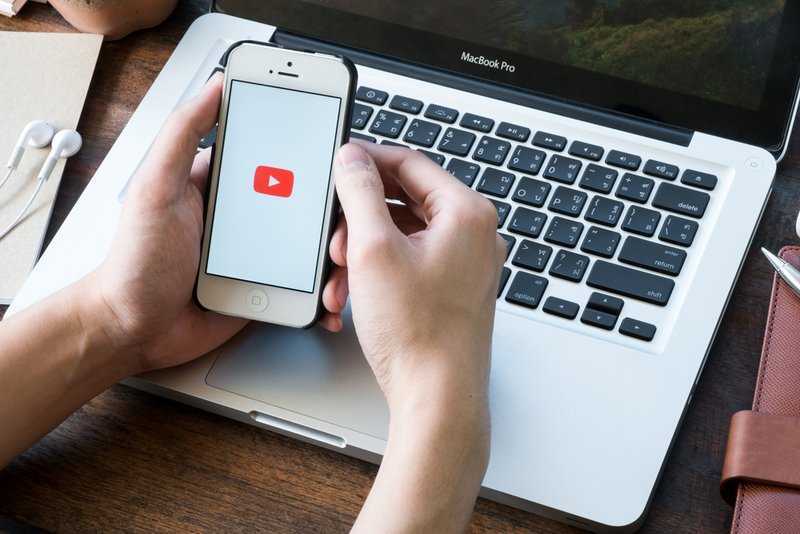 Younger video viewers are seen as a key reason for shorter ads. Your brand has 10 seconds or less to convey your key selling point in your ad. Do whatever you can to make it work, such as faster narration, stunning visuals, or compelling brand graphics. YouTube is offering 6-second video ads to marketers, and it’s making advertisers do more with less. Think With Google recommends that advertisers create these 6-second snippets as part of an overall theme at work, not as just the six most compelling seconds from a recut 30-second spot. Many of these bumper ads are created to make a funny or clever point in moments, hoping viewers will click for more. Create relevancy with your audience. Target, target, target. Make sure your product, brand, or service is relevant to your viewers on a specific platform. Working in Instagram? Make sure your ad is relevant for its primary audience of those aged 16 to 29. Doing ads on Facebook? Be relevant to older women, who are the primary users on Facebook. Appeal to viewers’ emotions or incite an emotional reaction. Video works best, according to Ad Age, when key psychology elements are brought into play. Emotions including love, joy, pride, laughter, and nostalgia are all key components for a video ad director to help move viewers. Plus, there is growing data from social media (especially Facebook) around users’ relationship status, work status, birthdays, anniversaries, marital status, and work relocations (among others) to give brands more ability to create emotional ads that work. Mix up your production elements. From bold colors to handheld devices, your ads can capture that slice of authenticity when you mix up your production elements. Knowing your target audience well can inform your decision on the type of production you’ll use. Whether it’s hand-drawn animation and emoji graphics or cell phone video and high-gloss imagery, the choice of production should suit your ad’s goal and call to action. Provide clear direction for what viewers should do next. Video ads should include clear calls to action. You can use graphic pop-ups with words asking viewers to subscribe or buy now. You can also include a screenshot in your ad to make clear what you want the viewer to do next. As the screenshot is showing, use an audio overlay with the same information.